Newsletters | Federation of North-American Explorers | Semper Parati! 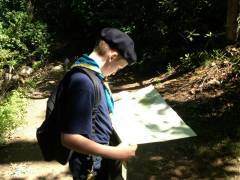 Scouting – is it Catholic? Please enjoy Volume 2 (Fall/Winter 2014) of our FNE newsletter, The Explorer. Comments or questions? Please contact us! Please enjoy the first edition of The Explorer, which we hope will be a quarterly newsletter of the FNE.